This Swedish Princess layer cake is pastel green and full of custard, jam, marzipan, and a mound of whipped cream! This cake was one of the Technical challenges on the Great British Bake Off 2014, I have promised myself to try each challenge and then to sell the result in my Fancy cafe. Remove the vanilla pod from the warm milk. 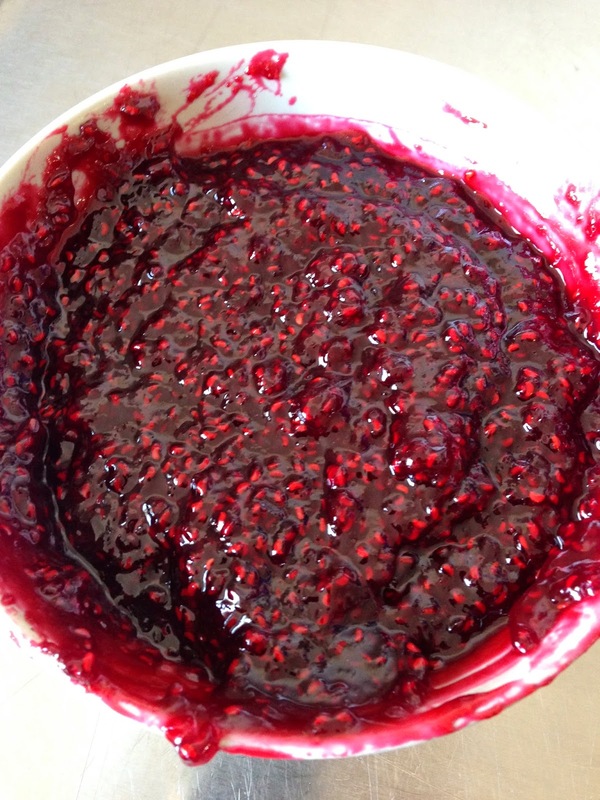 For the jam tip the raspberries into a deep saucepan with the sugar and two tablespoons of water. Cook gently over a low heat, stirring occasionally, until the sugar is dissolved. Bring the mixture to the boil and boil vigorously for about four minutes, or until the temperature reaches 104C/219F on a sugar thermometer. Transfer to a heatproof bowl and leave to cool completely. For the sponge, preheat the oven to 180C/160C(fan)/Gas 4. Grease and line the base of a 23cm/9in springform tin with baking parchment. Pour the mixture into the lined tin and bake for 30-40 minutes until the sponge is golden-brown and has just started to shrink away from the sides of the tin. Remove from the oven and set aside to cool. When cool enough to handle, turn out on to a wire rack to cool completely. 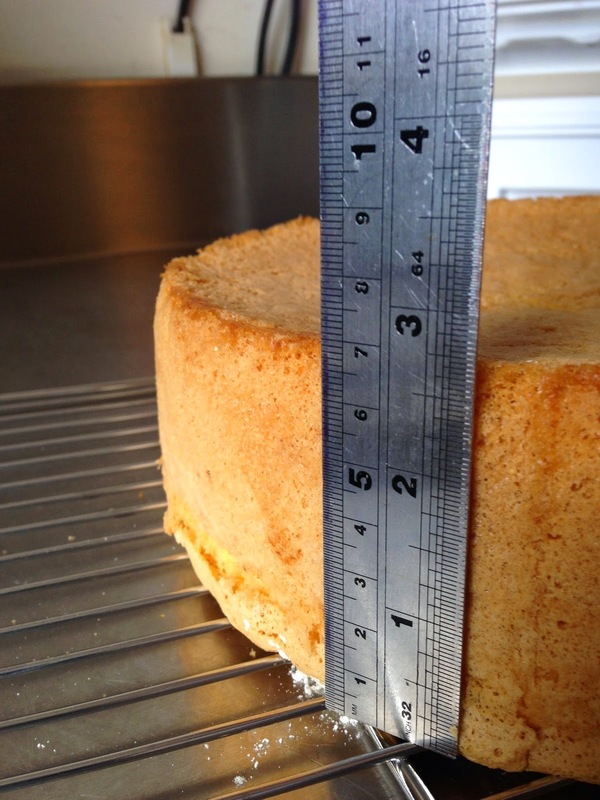 using a serrated knife, cut the cake horizontally into three even layers. 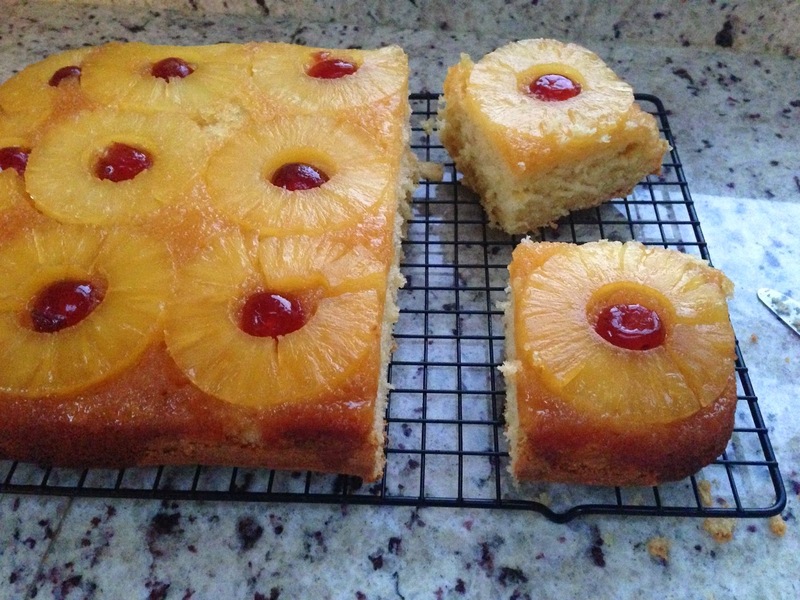 Place one of the sponges onto a serving plate. Spread a very thin layer of custard over the base of the first sponge. In a bowl, whip double cream to firm peaks. Fold half of the whipped cream into the remaining custard. Spread 1/3 of the custard cream over the jam. Place the second sponge on top and spread the remaining custard cream over. Knead in the bowl until it forms a stiff dough. Turn out onto a surface dusted with icing sugar. Using a cocktail stick add a tiny amount of green food colouring and knead to an even pastel green colour. Roll out the marzipan on a surface lightly dusted with icing sugar, to a 40cm/16in diameter circle, large enough to cover the cake. Lift the marzipan up over the cake and using your hands, shape the marzipan around the sides of the cake to get a smooth finish. Trim any excess. Spoon the melted chocolate into a small paper piping bag. Snip off the end and pipe a swirls over the top of the cake. 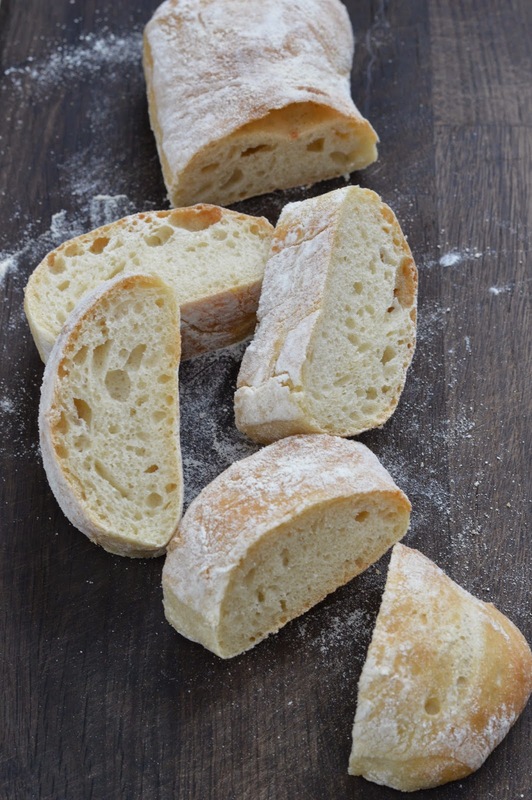 One of the technical challenges on The Great British Bake Off 2014 set by bread baker Paul Hollywood, was Ciabatta. 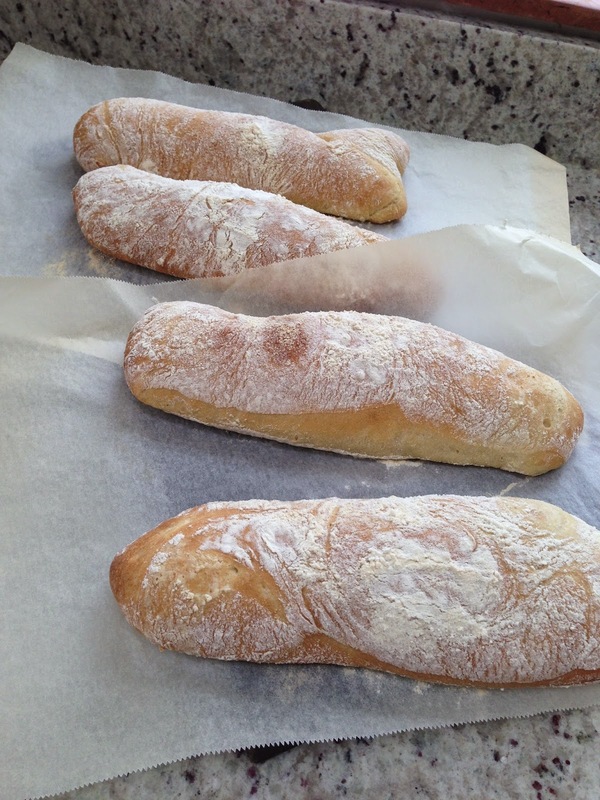 The challenge was to bake four Italian ciabatta bread loaves using Paul's recipe, below. 1. Lightly oil a 2-3 litre square plastic container. (It’s important to use a square tub as it helps shape the dough). My tub was too shallow, or my dough was growing fast. My dough started off where the pen mark is on the tub, so it has more than trebled in size. 5. Dust your work surface heavily with flour – add some semolina too, if you have some. Carefully tip out the dough (it will be very wet) onto the work surface, trying to retain a rough square shape. Rather than knocking it back, handle it gently so you can keep as much air in the dough as possible. Coat the top of the dough with more flour and/or semolina. Cut the dough in half lengthways and divide each half lengthways into 2 strips. You should now have 4 pieces of dough. Stretch each piece of dough lengthways a little and place on prepared baking trays. Here they are my finished loaves ! Grease a 38x25cm Swiss roll tin and line with baking parchment. For the filling mix espresso & brandy. Set aside to cool. 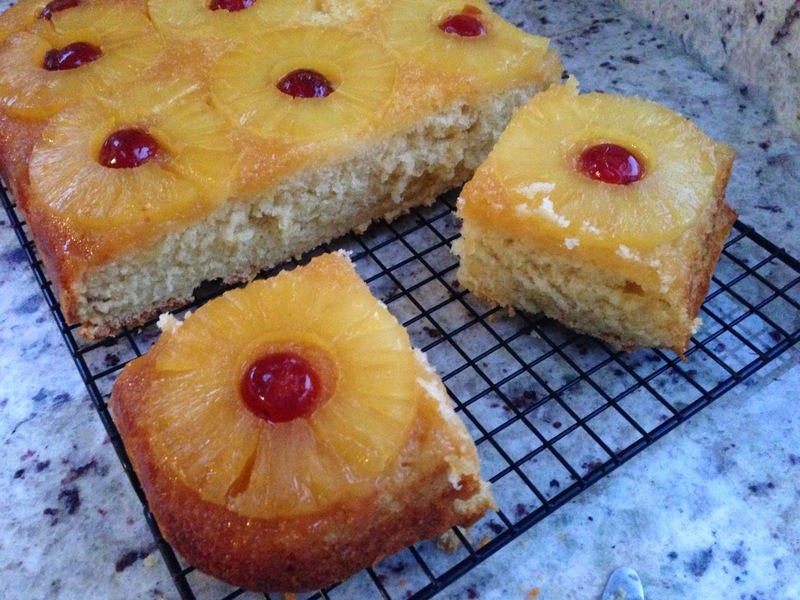 Using the loose base of a square cake tin as a guide, 7inch squares from each sponge. Place the fourth sponge on top and spoon over the remaining coffee mixture. Using a palette knife spread a very thin layer of the remaining frosting over the top of the cake. Chill for at least one hour in the fridge before turning out. While the cake is chilling, melt half of the chopped chocolate in a small bowl set over a pan of gently simmering water. (Do not let the bottom of the bowl touch the water.) Gently stir the chocolate until it reaches a melting temperature of 53C. Remove the bowl from the heat and add the remaining half of chopped chocolate and continuing stirring gently until the chocolate cools to 31C or lower and is thick enough to pipe. The Great British Bake Off is back on T.V. I don't watch much television but have made a point of watching this series and trying each of the technical challenges. Florentines is something I haven't baked before so I was looking forward to trying these out. A Florentine biscuit (or, more correctly, a Florentine) is an Italian pastry made from setting nuts (most typically hazel and almond) and candied cherries into a caramel disc, which is then often coated on the bottom with chocolate. Preheat the oven to 180C. Line three baking trays with baking parchment or silicon sheets. cranberries or cherries, candied peel and nuts to the pan. Stir well to mix. each of the prepared baking trays, leaving plenty of room for them to spread during cooking. Bake for 8-10 minutes, or until golden-brown. Leave the florentines to cool before lifting onto a cooling rack using a palette knife. Melt chocolate in microwave on low setting until just melted and smooth. After baking these for the first time they were so delicious I decided to bake larger florentines so I doubled the recipe and placed 18 slightly domed tablespoon measures on a baking tray (approx 36g each), baked for 15 minutes. The photos below are of my larger size florentines !